Spray foam insulation has been popular for all types of uses ever since it first came into widespread use in the marketplace in the 60’s. What was a product that was originally developed for industrial use quickly found significant use as a major type of easily applied home and building insulator. Here are the similarities and differences between these top spray foam insulation in Orlando, FL. R-value, which is an indicator of how well a substance provides installation is very good for both densities of spray foam insulation. That means that no matter what type of spray foam insulation you choose it will do a nice job of providing insulation for the areas you put it in. It must be noted that even though both densities of foam are very good insulators, 2 # spray foam is the better insulator. Both densities of spray foam work really well when applied to the interior surface of structures. That is why it is common to see either type of spray foam insulation used in such things as attics and exterior walls. Low density spray foam insulation should never be used outside though. Although the formulas that make up the amounts of ingredients for spray foam insulation are different, they both still use basically the same chemical ingredients. Think of it like baking bread; even though the yeast amounts and other ingredients may be slightly different it is still bread. Spray foam insulation is basically made up of such things as polyol resins, reaction catalysts, surfactants, fire retardant ingredients and a spray blowing agent which enables installation. Both grades of spray foam work very well to absorb sound and make the places they are applied in much less affected by outside noise. That is why both of these products are also sometimes used in areas that do not require insulating characteristics at all. It is interesting to note here that the 1/2 pound spray foam insulation is actually superior to the denser 2 pound spray foam insulation when it comes to sound absorption. One of the big advantages of using either density of spray foam insulation over more typical types of insulation is its resistance to mold. Once again, this makes them both excellent to use in such places in a structure as basements and attics which are areas where mold typically forms very easily. The reason for this is because once you seal your attic or structure and prevent air flow, this eliminates moisture. And without moisture, there cannot be mold. No matter which type of spray foam insulation you choose to use it will do a number of good things to the areas in a home or building that you apply it to. It should be noted however that there are some glaring differences between them. One of the big concerns with using 2 pound spray foam insulation in Orlando, FL is that years ago it used ozone depleting fluorocarbons as its blowing agent. Although that has changed dramatically they are still working toward a 100% non-ozone depleting blowing agent. That has never been a problem with 1/2 pound foam because it has always used water as the base for its blowing agent. If you want to increase the structural integrity of the surface that you use spray foam insulation on, then you definitely want to choose the high density variety. Two pound spray form hardens into a rigid plastic like substance, whereas 1/2 pound spray foam insulation retains its spongy, non-rigid like feel and that gives it no ability to help support the surface it is sprayed on. This is one of the greatest advantages of closed cell spray foam insulation in Orlando, is that it will increase the structural strength and structural integrity of your home, thus making it better resistant to hurricane winds. Since high density spray foam insulation hardens into a semi-rigid state it also makes a very good vapor barrier and adds water resistance to where it is applied also; you definitely do not want to use low density spray foam insulation in areas where you would like your insulation to do these two additional tasks. This is another great advantage of closed cell foam, that it is water impermeable so if you had a roof leak your attic will stay dry. As you can see, even though these two types of spray foam insulators are similar; there are definitely some situations where you would want to choose one over the other. 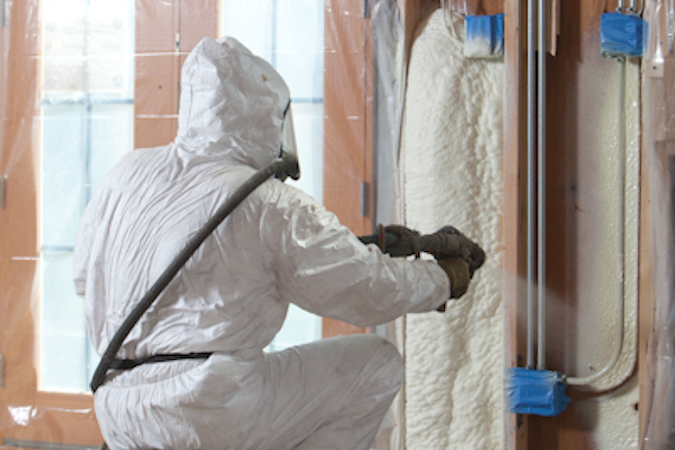 In general, at Spray Foam Orlando we strongly recommend closed cell spray foam. 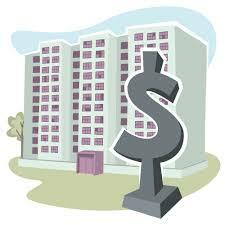 It is slightly more expensive but the advantages are far superior.